In recent blogs I have touched on internal communication and its importance in getting employee engagement. Today I’m about to start work on a big change programme looking after both those things, so I felt it appropriate to have a think about communication and change. Change is all around us, friends, life is, in fact, a process of ceaseless change peculiar to organic matter (as I once said in a philosophy essay, much to the bemusement of my tutor). Change is what makes us people and without change we would still be a set of single-cell organisms lolling in a pool of brackish water. (Apologies, at this point, to any creationists or intelligent design fans reading who are upset at this evocation of evolution, but you aren’t really my core demographic). Anyway, change is necessary, and, although it is not always good, it isn’t going anywhere unless I’m completely misreading the second law of thermodynamics. In business, as in life and closed systems, change is always necessary; markets change, products change, customer needs and wants and expectations all change, and anyone looking to meet those needs, wants and expectations better change to be able to meet them, or the business side of things isn’t going to last too long. So businesses must change, and that means people working in those organisations are going to have to change as well. At the very least, they will have to do things differently, or do different things. That said, change is undertaken in order to deliver benefits to the business, and those benefits are likely to be achieved in a more sustainable way if people not only change what they do, but how they do it, that is change their behaviours. This takes a bit of doing. There’s a bit more to it than issuing a new flow chart on how to do a new process or just installing some new software in everyone’s PC. To change behaviours you need really effective communication, and that means sharing information with people and then having a conversation with them to ensure that they have understood the information you have shared, and that they are willing and able to play their part in the change you are asking them to undertake. Communication is always a change activity. After communication happens things are different. At the very minimum, levels of knowledge have increased, but it can and should be a lot more profound than that. So what should you share? The usual – what, when, where, how and, most importantly, why. What is changing? When is it happening? Where about in the organisation? How will things change? Why are they changing? This last one is the key to get buy-in from people in change, as you need to make the why a reason for them, as an individual, to change. I remember one big change programme I worked on and they key kick-off comms was a video of the CEO telling everyone in the business what the programme was all about – a big modernisation programme, affecting everyone in the business, over the next couple of years. Why? Because the business wouldn’t last the next couple of years unless something was done to turn it around. The classic burning platform “why”. Amusingly, the first time we showed the video to the wider senior leadership team (top 100 or so people in the business) the sound went off half way through. The CEO went on speaking, silently for what seemed like hours while I ran around frantically back stage trying to get the sound back on. I did, eventually, just as the CEO was intoning the words “job losses”. You couldn’t have timed it better. I digress, but the heart of the message was “it’s this or oblivion”; however, “we’re doomed” isn’t the most engaging message and very quickly we reframed the message around building a new business, constructive, forward-looking and forward-thinking and far more engaging for people. They why became “because I want to be part of this new business”, a message that ran through every single piece of communication ever issued by anyone in the programme. Building a new business was through it all like letters in Blackpool rock. You see, once you have your why you need to ensure that all communication of it is consistent and authentic; if you say you are building a new business then you better damn well build one. And build one we did, a leaner, fitter, more engaged organisation, better set to meet the needs, wants and expectations of modern customers, with a more effective culture and new behavioural norms across the piece. Then we merged it with another bit of the business and had to start all over again. Change, see. It doesn’t stop, not ever. So the key thing from this is having that core message – why we are doing this, framing it in a positive and forward-looking way and then delivering that message consistently and authentically in every piece of communication you undertake. Simple. So have a think. Change is almost inevitably happening somewhere in your business. Are you communicating about it? What are you communicating about it? And do your people. Really and truly understand why these changes are happening? Have a think. In this blog I have written, not for the first time, about the vital importance of authenticity. This was also a key facet of the 20th Century school of philosophy known as existentialism, about which I have blogged before. Albert Camus, born 100 years ago last week, was very close to Jean-Paul Sartre, the godfather of existentialism, but wasn’t himself an existentialist. He was an absurdist, a world view he expounded magnificently in his novels, notably The Outsider, The Plague and The Fall. He also wrote a couple of philosophical essays, The Rebel and The Myth of Sisyphus. This latter work I would commend eagerly and heartily to anyone engaged in trying to make change happen in a large organisation. I have returned to it frequently when things were getting tough in the many change programmes I’ve worked on over the years, and find the closing thoughts a great comfort. In my last blog I expounded some of my thoughts on the links between internal communication and employee engagement – and how they were indeed linked but were in no way synonymous. This time I have some further thoughts on these two subjects – and the dangers posed to the latter by the former not being done properly. Some time ago I was working with local management in a big department on their engagement levels. The engagement levels weren’t where they could or should have been, and we were mining the data to make sense of things. Well the data didn’t agree, with scores on the employee survey on the quality, frequency etc of communication being pretty poor. I had a look at this, and at the verbatim comments on this area, and also reviewed what had happened in the months leading up to the survey. To be fair, there had been activity of a communicational nature. Blogs had been published. Headlines had been loaded onto intranets. Briefing documents had been issued to managers and these, in turn, had been passed onto the people in the department. Information, in short, had been given to people. What had not happened, however, was any communication. There had been a one-way, top-down attempt to send information, but there had not been any attempt to test understanding of the information. No matter how well crafted a blog, no matter how expertly drafted an intranet article, there is no guarantee that when it is read it will be understood in the way that was originally intended. An example – no names, no pack drill. I recall reading a blog by a chief exec which told that a member of the senior management team was recovering after a serious illness and had managed a few holes of golf. In the context he intended, this was a good news story about a generally popular member of the organisation getting better. In other words, what was intended in terms of understanding wasn’t what landed – there had been a failure to communicate. Going back to our local management team: I spoke to staff in the area, to try and get a deeper understanding of the issues. Briefings, which were intended by the internal comms team to be shared at a team meeting with a Q&A session at the end tended to be emailed out to teams. Further investigation showed a real lack of confidence among line managers to deliver the briefings, so they just weren’t delivering what they were intended to do. Likewise, whenever staff had responded to issues raised in the blogs or intranet headlines, there had been no acknowledgement, let alone response, and people pretty quickly gave up trying to give feedback. The solution? Some training sessions for line managers on leading discussions, some high-visibility responses to questions raised on the intranet, and kicking off some sessions with senior managers where they sat down with people and had a discussion about the business, how they were contributing to the success and what issues people had on the shop floor. Nothing too demanding or too difficult, but ultimately transformational in terms of how communication was perceived in this part of the business, and this, in turn, contributed toward improved levels of engagement. So, have a think about how you communicate in your business. How do you make it two-way? What feedback loops have you put in place? How do receivers of information become transmitters? How do you help leaders listen? Have a think. I did a presentation this week where I explained my thoughts on what Organisational Development is, and what it consists of in practice. The previous evening I attended another session where the speaker gave some good tips on presenting, one of which was to use images rather than bulleted lists, and I took that advice and hit Google image search for some appropriate images. I remember going on a leadership course a few years back – one of the best things I have ever done, it was literally life-changing – and the very first activity in the first session was people choosing their ideal leaders. In my group, more than half chose Sir Alex Ferguson. (I chose Gary Neville, then the captain of Manchester United, for reasons I’d be happy to explain if you ask me). His success as a manager is unparalleled, and I am a lifelong United fan, so that image, iconic for his hunger for success and his instilling in teams the desire to keep going and never give up, that leapt from the image search and into my leadership slide. And this was before I read this article in the Harvard Business Review, about a study by academics of the lessons to be learned from his leadership. I could, and doubtless will, do a blog on each of these lessons, but as I said last time I would be doing a few blogs on the whole change thing, then I will look at three specific ones this time around – because they speak to me about the role of leaders in change. Those lessons are 1, 2 and 8. Lesson 1 – start with the foundation – in the article, Fergsuon explains how he changed the culture in the club to one of developing the best young players. In its way, it was a return to the values of the last great manager at the club, Sir Matt Busby, whose young teams established Manchester United as the force it is today in world football. The lesson for leaders here is that change needs to be sustainable – you need to think long-term and plan for long-lasting success, not just go for the quick win. Too often in recent times business have focused on the quick profit at the expense of the long-term. Leaders need to take the long term view and lay foundations for the future in order for their organisations to succeed again and again, as Ferguson did with his teams. Lesson 8 – never stop adapting. 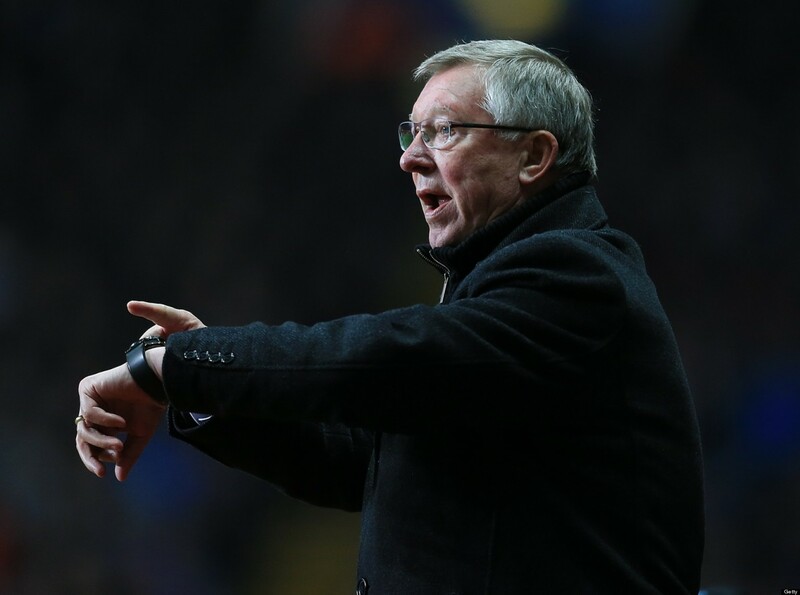 Football changed massively during Ferguson’s time at United, and David Gill, the CEO, speaks in the article of the manager’s capability to adapt as the game changed. Leaders need to look outside and be aware of how their world is changing or else their organisations are being affected. Change is constant, and it’s not even a question of “like it or not” – you just have to accept it and make sure your organisation can adapt in order to survive. How leaders lead change is fundamental not just to the success of change projects and programmes, but to the survival and success of the businesses they are leading. No leader can call themselves a leader if they cannot change, and lead change, and this is why Sir Alex is the exemplar, for me, of the leader. So, who are your exemplars? Who are the leaders you see as the best at leading change? How do leaders in your organisation manage change? Are they building foundations, making the courageous decisions and adapting as the wider world changes? Or are they avoiding change and hoping steady state will get them through? Have a think. I’ve spent most of the last decade and a bit doing change stuff, whether it be communicating about change, enabling change through insight and leading projects, and I’m pretty comfortable with the whole process by now. That said, I’ve had a bit of time recently and thought I would use it to revisit my project management methodology and brush up my theory. And, as I sat down at my screen and went through my course, I thought it might also be fun to reflect on some of my experiences of change in real life, and consider how well the theory turns out in practice. This all begins, in turn, with an idea; somebody has to come up with something new. I find this often originates with a senior group of people at or around the top of the organisation; they come up with some requirements – the what and why from where the when and how inevitably flow. This is where things can start to go wrong at the start – and where communication and stakeholder management are absolutely key. As we all should know, the risk of failure of a project is highest at this stage, and it is easy to see why. I recall a project I worked on a few years ago, intended to deliver a new operating model for a sales force. There was a room full of consultants with very expensive suits and holiday homes in California who worked very closely with the director in charge of the sales division – but not many other people. They had the what and the why, but it wasn’t that clearly shared with the rest of the organisation, or the programme that this project was but a part. As a result, there were key messages about why and how we were changing going to the wider organisation that did not necessarily align with the messages that were going through a variety of channels (not all “official” ones) to the sales force. Stakeholder management was carried out through off-site meetings in hotels and bars, over plates of sandwiches and chips, between managers and their allies, with other colleagues being left out of the loop or playing catch-up with the official comms when they managed to get through the labyrinthine sign-off process. Nudges and winks to those in the know often accompanied said formal comms as well. As a result, the “what we are doing” became a different message depending who was hearing, as did “why we are doing it” – which generally ended up as “so we can keep you guys and get rid of them” rather than the more widely accepted “so we can have a sales force that provides us a sustainable and profitable route to market”. Much money was spent, many nice new suits bought (though few by me or any of my in-house colleagues), and the sales force limped on for a couple more years before inevitably closing a little way down the line. The documentation was all in order, the PID was completed, the budget agreed by the steering group, and then the project went off into the long grass and went its own merry little way. I can’t say it achieved what it set out to achieve, but at now point did anyone say it had failed; however, that lack of clear and common understanding among all stakeholders as to what, why, when and how just wasn’t there despite the right boxes having been ticked off on the project management form. The lesson for me was the need for simplicity and clarity in communicating the what and why; “this is what we are changing, and this is why” in a way that everyone gets on board and has a shared and unambiguous understanding up front. This then, is my first lesson of project management: the initial engagement of stakeholders needs to be rigorous, thorough and involve a lot of very good quality conversations, with every single stakeholder, after which requirements are recorded and then some more very good quality conversations to make sure those requirements are sufficiently simple and clear. The pre-requisite for this is twofold: make sure you have identified all your stakeholders up front and make sure you engage them in the right way – prepare your ground, know your audience and have a really good sense of the political environment in which you are about to work. Then, after you have engaged them and achieved this level of buy in and common understanding, do you start worrying about the how and the when – which we will come to in due course in another blog when we think about planning and execution.